Kim Scott is the author of the NYT & WSJ bestseller Radical Candor: How to Get What You Want by Saying What You Mean. Kim led AdSense, YouTube, and Doubleclick Online Sales and Operations at Google and then joined Apple to develop and teach a leadership seminar. Kim has been a CEO coach at Dropbox, Qualtrics, Twitter, and several other tech companies. 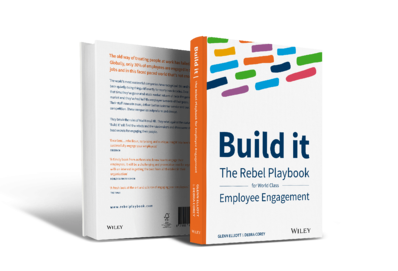 Rebels create a culture where peers are open and honest with each other, departments feel safe in being candid, and there is a high degree of lateral transparency in the business. They encourage relationships between people across teams with social communication, social recognition and open directory tools. They promote a culture that allows constant feedback and improvement to occur between people, something that author Kim Scott calls “building a culture of radical transparency. Kim Scott presents Radical Candor at First Round Review's CEO Summit. Feedback is screechy and makes most of us want to put our hands over our ears. But guidance is something most of us long for. Guidance is just praise and criticism. And when it's done well it's Radically Candid. Radical Candor is possible when bosses are willing to Challenge an employee Directly and also show they Care Personally. 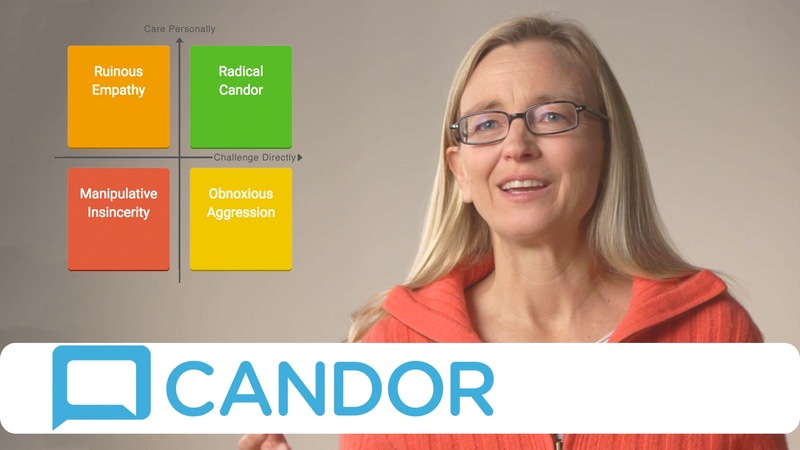 Radical Candor: How to Get What You Want by Saying What You Mean. Great bosses have relationships with each of their employees. This relationship is a source of growth and stability for individuals and companies. Anywhere you see great bosses, you'll see the same three principles for approaching this relationship play out. These principles are explained in the book mostly by telling stories, some successes, but also plenty of mistakes. Some are funny, some are painful, and many are plain embarrassing, but they’re all instructive. Even if your company is nothing like the places Kim is describing (Google, Apple, Twitter) and your own boss is a control freak or petty tyrant or simply useless, you can still adopt these three basic principles and become a great boss yourself. Kim explains how, and why you’ll be happy you did. Join the Rebelution, and pre-order your copy today.